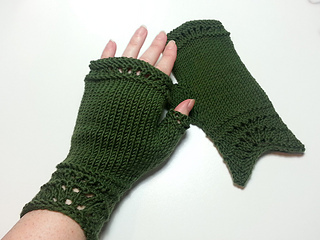 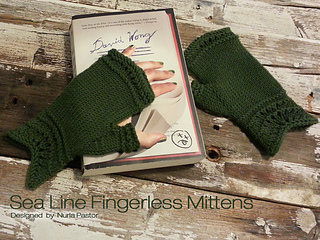 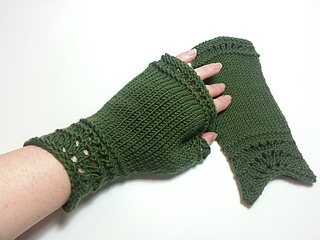 Sea Line Fingerless Mittens are a pair of fingerless mittens matching the Sea Line Shawl. 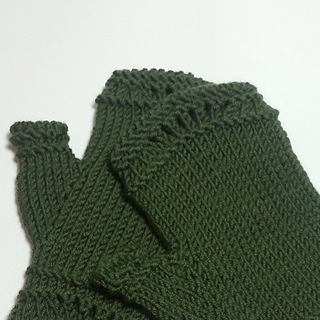 This project is a quick knit, as well as elegant and practical. 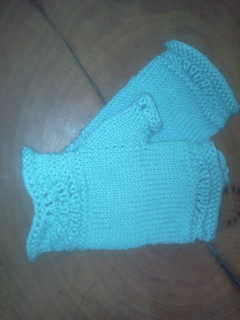 The waves are knitted following different combinations of the feather lace pattern, being a simple yet interesting knit. 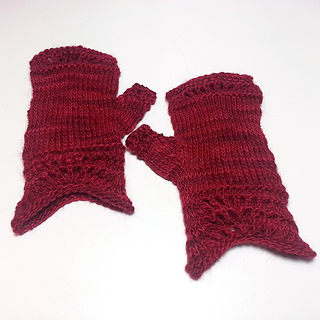 Use alternative gauge of 20 sts per 4” (10 cm) or a bigger size than the one recommended to make looser mittens or use a non-stretchy fiber. 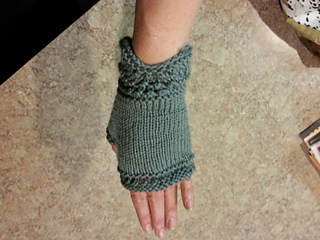 111 yards / 101 m 120 yards / 110 m of DK weight yarn: Katia Merino 100% (100% Merino, 111 yards per 50 gram skein) in shade 23. 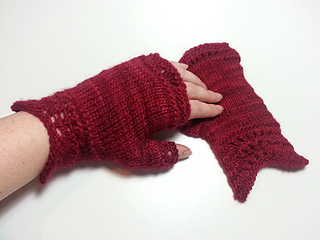 Drops Loves You III (50% Alpaca, 50% Wool, 164 yards per 50 gram skein) in shade 10.